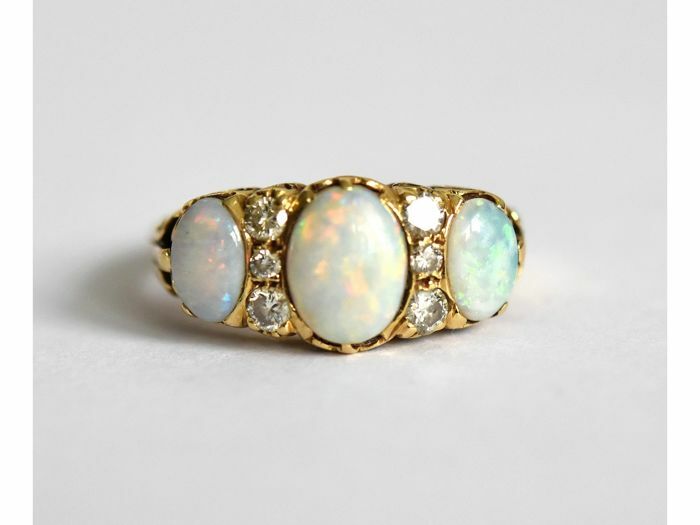 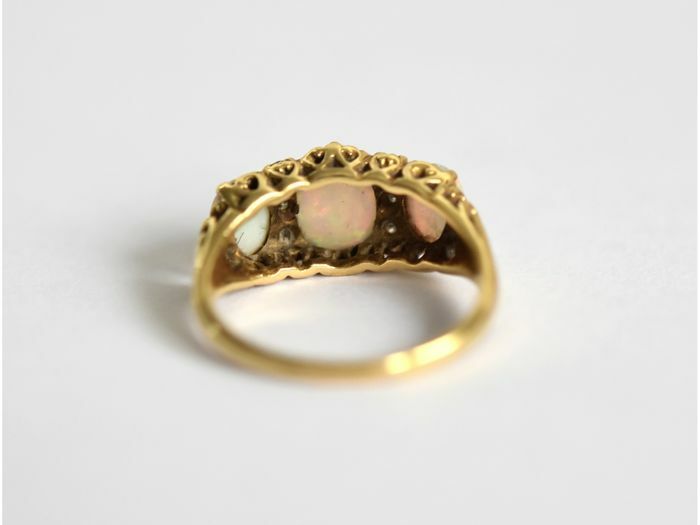 A substantial 18ct gold ring set with three opals and six diamond spacers. 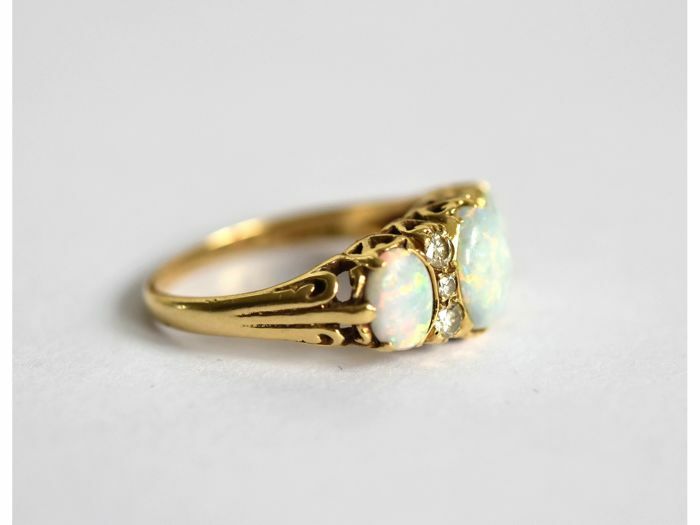 The fiery opals measure approx’ 9mm x 7mm and 7mm x 5mm, totaling an estimated 4.5carats. 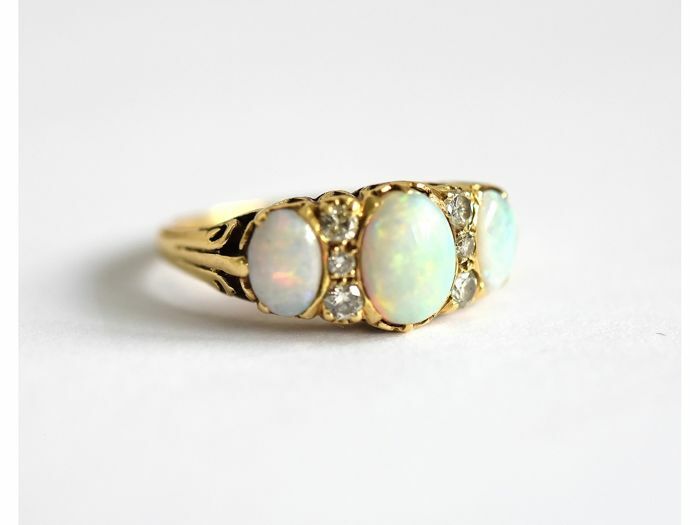 The opals have strong colour play. 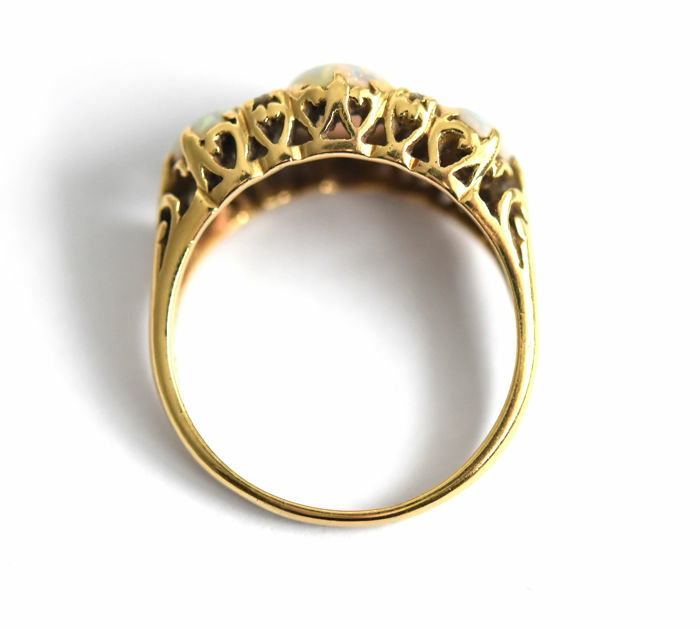 With 4 x 8point and 2 x 4point round diamonds. 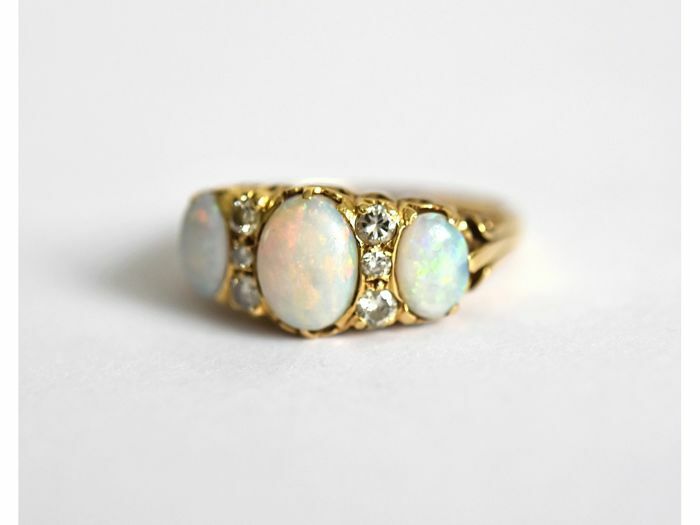 The diamonds are bright and lively and well matched. 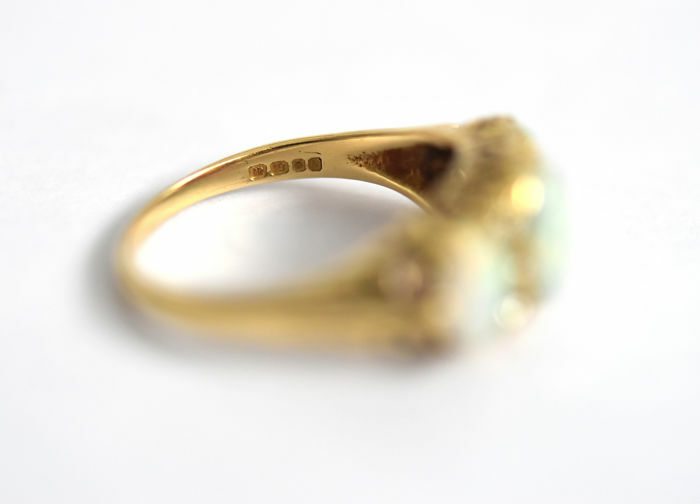 A decorative gallery and a plain shank.